Abed Awad, an attorney and expert on the role of Sharia and foreign law in American courts, teaches Islamic jurisprudence at Rutgers Law School and Pace Law School. He is also the co-founder of the blog ShariaInAmerica.com. 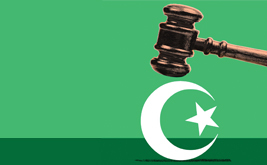 Sharia is as unthreatening to the US legal system as the ideas in the Old Testament. Yet bigoted hysteria is fueling legislation that actually undermines our courts.